This weekend in Sydney has seen a relatively rare meteorological phenomenon – thick sea fog. The Northern Beaches have been blanketed each morning with what looked like dense steam. There had been some backburning up at West Head, which had gotten a little hairy, and it was thought that might have been the culprit. Apparently, according to Weatherzone, warm (I would say hot) winds blew across cold air and created a thick fog. There were places where it wasn’t possible to see more than 50m. 100m inland and the air was clear. Very weird and very unusual. Whilst the photos don’t really show, it made for quite a hazy trip across the Harbour in the ferry. Most of the fog was on the beaches, but some snuck through the Heads as well. A weekend ferry trip is quite different to the weekday trip, as the harbour teems with a far greater number of recreational craft – including plenty of yachts and small fishing boats. It would do a ferry master’s head in. 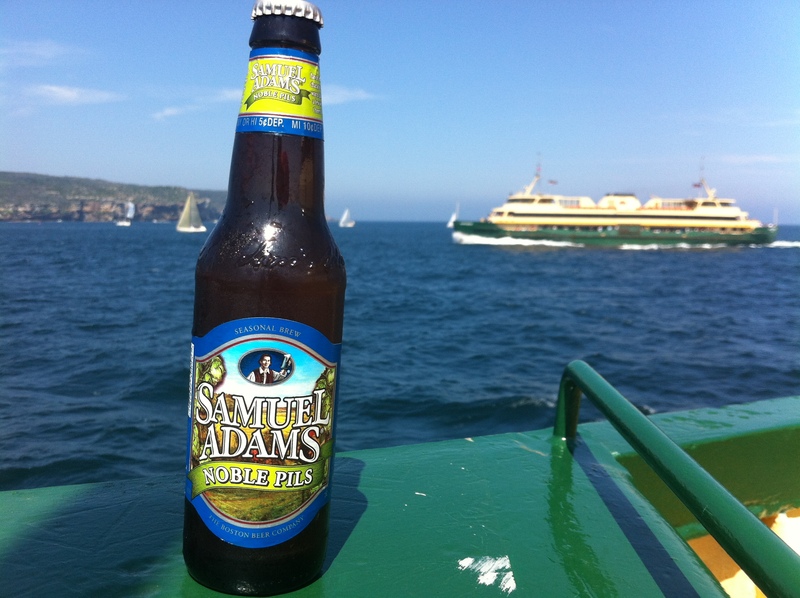 Samuel Adams’ Noble Pils made the journey this time around. Sam Adams has released this each spring since 2009 as part of its seasonal range. I should have bought 6 of these, but Sam’s six pack prices haven’t reflected the strength in the Aussie Dollar and they are still over $20 – so it could have been an expensive error. I shouldn’t have worried. This is a fine, spicy, flavoursome pilsner. It’s named “Noble” because it uses all 5 “Noble” hops varieties – Hallertau, Saaz, Tettnang, Spalt and Hersbrucker. These varieties are named after the region in which they were originally growm, but they are now grown in other parts of the world. The big boats are coming thick and fast into Sydney Harbour now. The Radiance of the Sea is a very big boat weighing in at 90,000 tons. 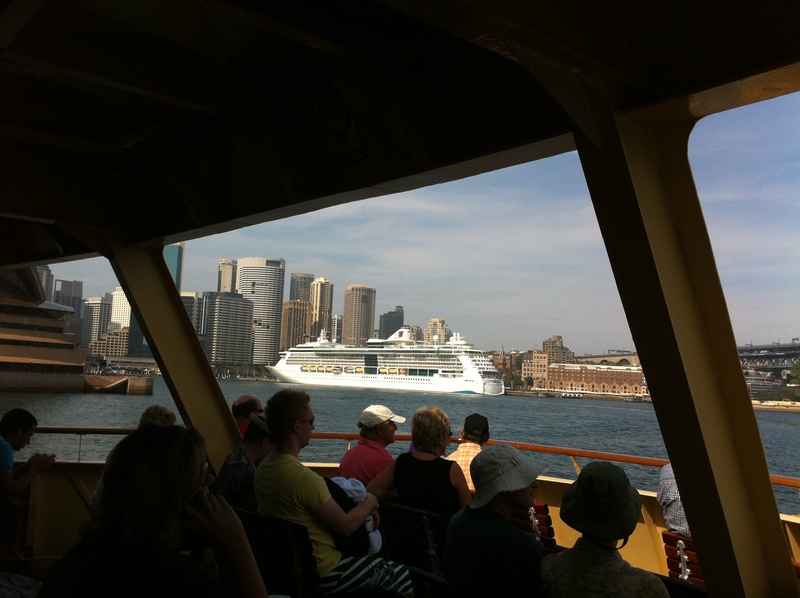 Sydney Harbour used to stop when the old QE2 used to come in, yet it only weighted 70,000 tons. We’re getting a little blase now. All of these are dwarfed by the Oasis of the Sea and Allure of the Sea cruise ships, which weigh in at 225,000 tons. Not sure if they’ll ever make it to Sydney – but if they do – BotF’ll be there.